Contact us today with your requirements for Abrasion-Resistant Steel Plate. Murray Steel Products are leading suppliers of abrasion-resistant steel plate and wear plate materials to the UK’s yellow goods, engineering, mining and agricultural machinery sectors. We stock large quantities of certified wear plate, which is designed to deliver an extended lifespan for equipment used in harsh environments where components are involved in moving or breaking hard and abrasive substances, such as minerals, earth, sand, aggregates and scrap metal. Due to its high strength, hardness and exceptional wear resistance, abrasion-resistant steel plate is particularly suited to applications such as attachments for excavators and earthmovers, trucks, breakers and crushers, recycling machinery, quarrying machinery, conveyors and materials handling equipment. All of the above are available as standard in 8000 x 2000 and 6000 x 2500 plates in a range of thicknesses. We can also supply non-standard sizes, which can help to manage your costs by reducing wastage in the manufacturing process. 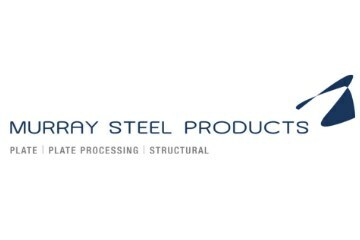 Murray Steel Products’ plate supply operation is backed by an in-house ISO 9001 and CE Execution Class 4 accredited processing facility, equipped with state of the art steel profiling, cutting and drilling machinery. As a result we can supply wear plate cut to the ideal size for your manufacturing set-up or custom profiled and drilled components made to your precise specifications (both one-offs for prototypes and in volume). Contact Murray Steel Products on 0161 866 6999 or via the website to request a quote for abrasion-resistant steel plate or profiles.